Hi everyone! Half way through the summer holidays, how is it treating you? We might have some cooler weather this weekend. 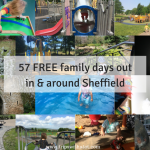 If you’re looking for things to do this weekend in Sheffield, cheap days out, free days out and day trip ideas then you’re in the right place. 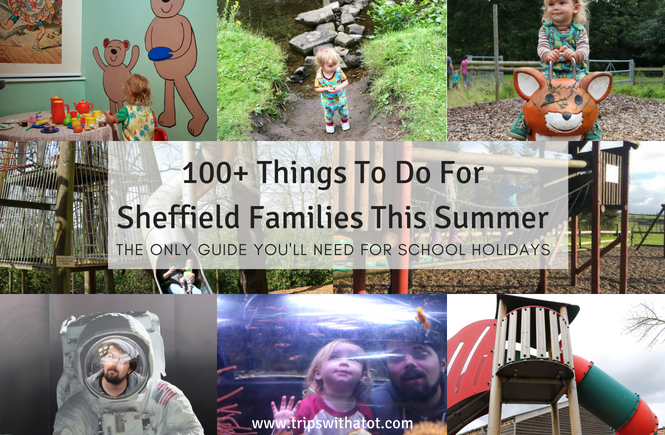 Every Wednesday we publish a top picks weekend roundup with things to do in and around Sheffield for families. Please subscribe so you don’t miss them. Thank you! 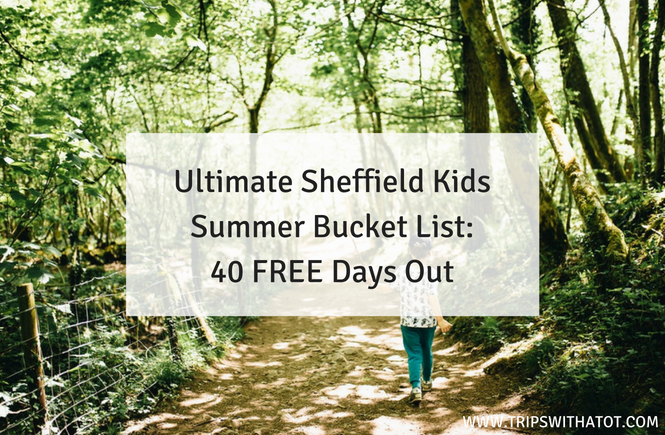 Head to Sheffield By The Seaside if you haven’t already! Free with a pop up beach, character appearances, water play, rides & more. 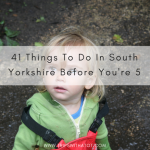 For more to do in Sheffield City Centre with kids visit this great playground, Waterstones and these top things to do in town with a toddler. Sheffield Bricktropolis lego trail! 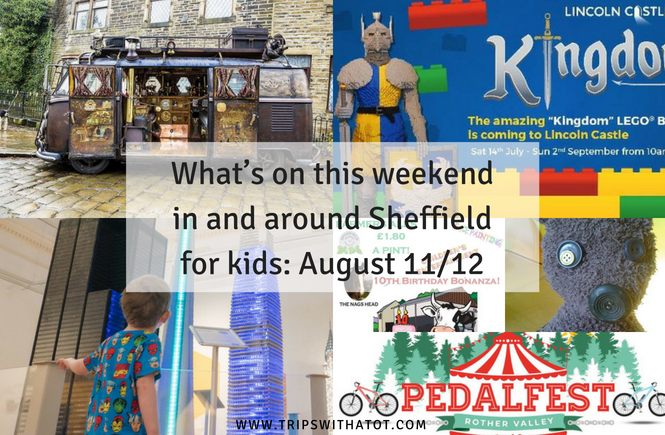 Sheffield BID & Alive After 5 have transformed Sheffield City Centre with LEGO 4 – 17 August. LEGO fans will be able to explore the city on the Sheffield Bricktropolis trail, a stunning spectacle featuring 20 world landmark models, plus a custom model of one of Sheffield’s most famous buildings. 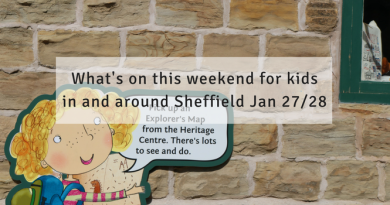 A diverse display of monuments, capital buildings and skyscrapers will be hosted by venues around the city, which families will be able to explore using the Sheffield Bricktropolis trail map and app. 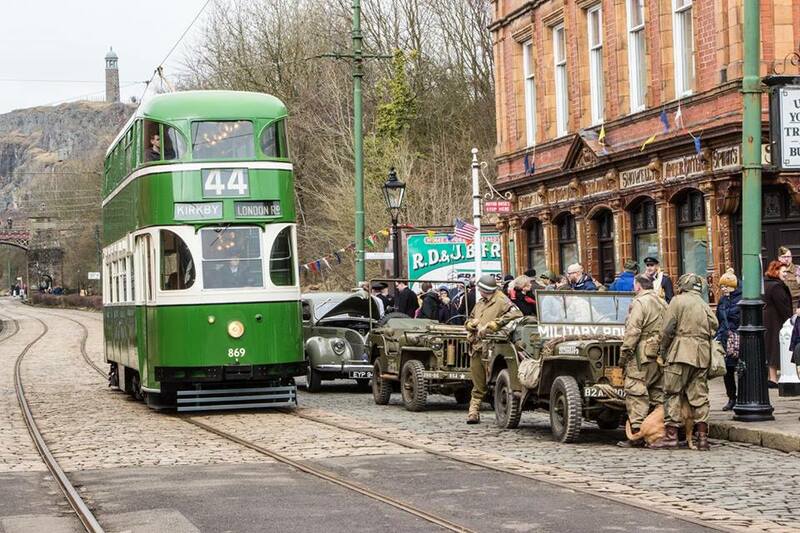 Step back in time to early 1940s Britain at Crich Tramway Village this weekend: World War II Home Front Event. Historic vehicles mingle with vintage trams; Musical entertainment from the 1940s; Children’s Bootcamp. Reduced admission if you dress in 1940s attire. Take part in a themed Knights Trail at Rufford Abbey, sheets £1. Plus Rufford on the beach and playgrounds. Join the big butterfly count at Creswell Crags. 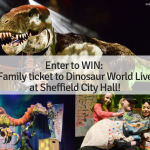 Tickets are still available for Walking With Dinosaurs at FLYDSA Arena, Sheffield on Friday & Saturday. In Doncaster on Saturday it’s 999 emergency day. 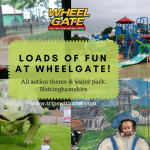 Family fun day, bouncy castle, Smoke House Experience, National Emergency Services Museum, Fire Service, Police, Low Land Rescue, Air Ambulance and much! much! more. 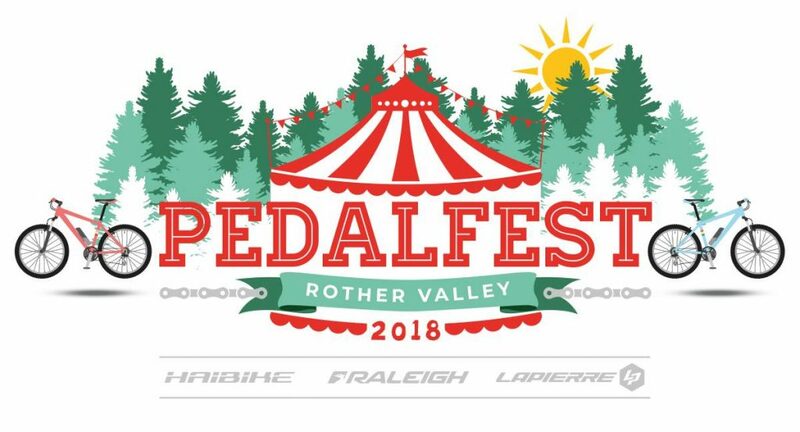 Pedalfest – at Rother Valley Country Park on Saturday. 80 Haibike, Raleigh, and Lapierre bikes to demo, plus a kid’s track, food, cycling Accessory stands and more. NEW Bangers & Cash free summer art exhibition at Winter Gardens in Sheffield opens this weekend raising funds for roundabout. The first exhibition of its kind in the UK – 23 car bonnet artworks by local artists suspended down one side of the Winter Garden. Family Fun Day and Jumble with kids entertainment at Greenhill Saint Peters Church 10am-12. 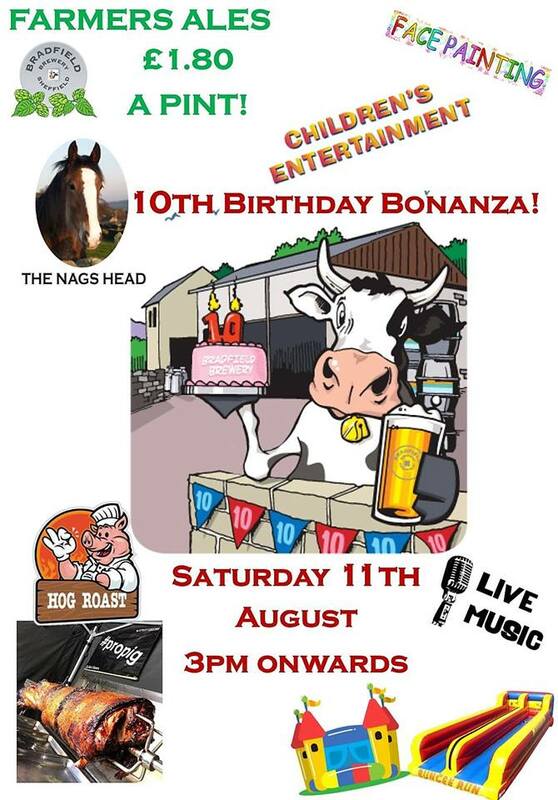 10th birthday Bonanza at Nags Head on Saturday from 3pm. A great evening out for all the family with children’s entertainment and face painting, live music, hog roast, bouncy castle and bungee run and Farmers Ales at just £1.80 a pint! Low Edges festival at Greenhill Park in Sheffield on Sunday, free entry with car show, rides, dog show and lots more. On Saturday afternoon in Rotherham, 10:30-3:30pm is Wonderfully Wizardly event. 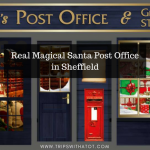 Birds of prey, magical tales and more. Head to Bakewell Showground this weekend for Bakewell Summer Show. Lots going on like donkey rides, stalls, paintball, punch and Judy. 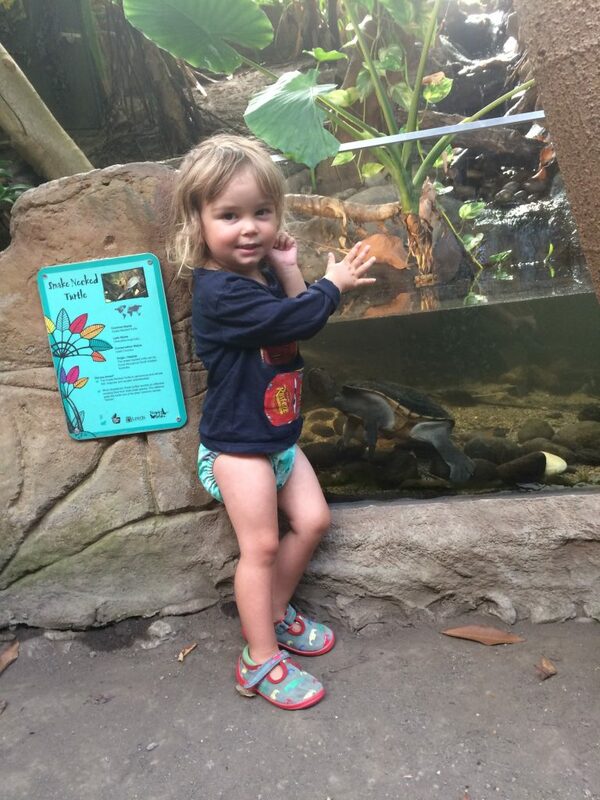 Take your toddler rock climbing on Saturday at Rock Tots, 10am. 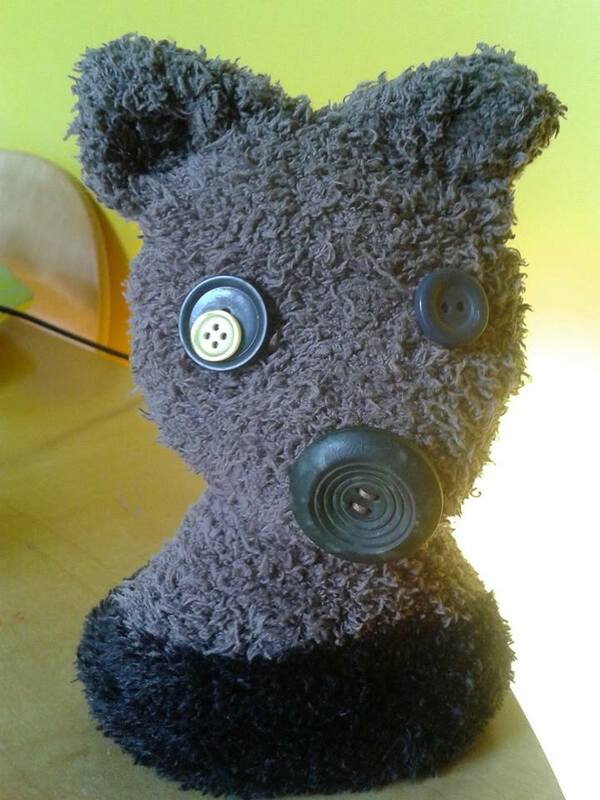 Join a professional puppet maker at Bears Alive! The Cooper Gallery in Barnsley: create your own character with everyday materials, suitable for 5 years+. Chalk Up The Piece Hall in Halifax all weekend and bring street painting back to life. Huge event on Saturday in Halifax: Halifax Agricultural Show. A traditional Yorkshire Agricultural Show with cattle, horses, goats, sheep and vintage vehicles, whilst embracing the whole family including children, grandparents and family pets. 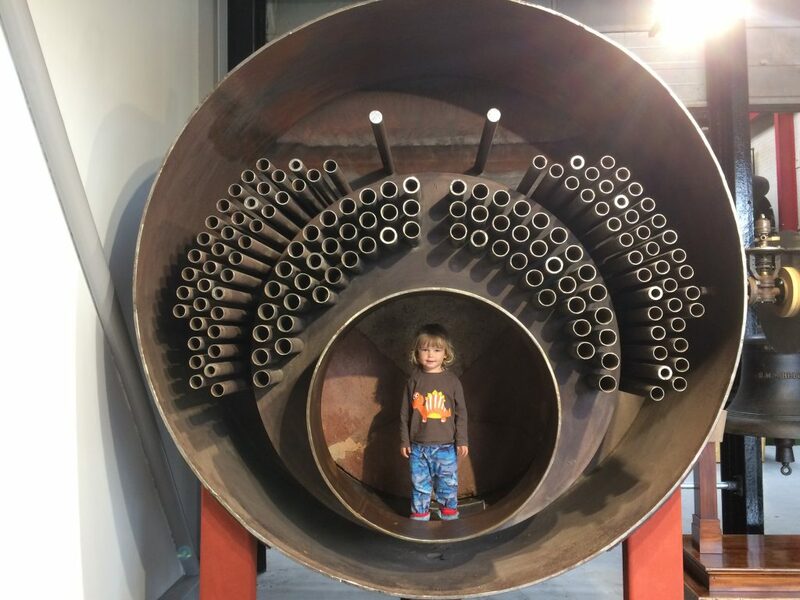 Explore the interactive Hope Pit at National Coal Mining Museum, Sheffield. 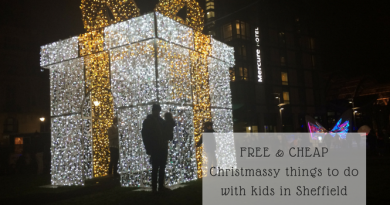 Suitable for all ages, £2 per person. Plus pit ponies, nature trail, indoor play and brand new adventure playground. 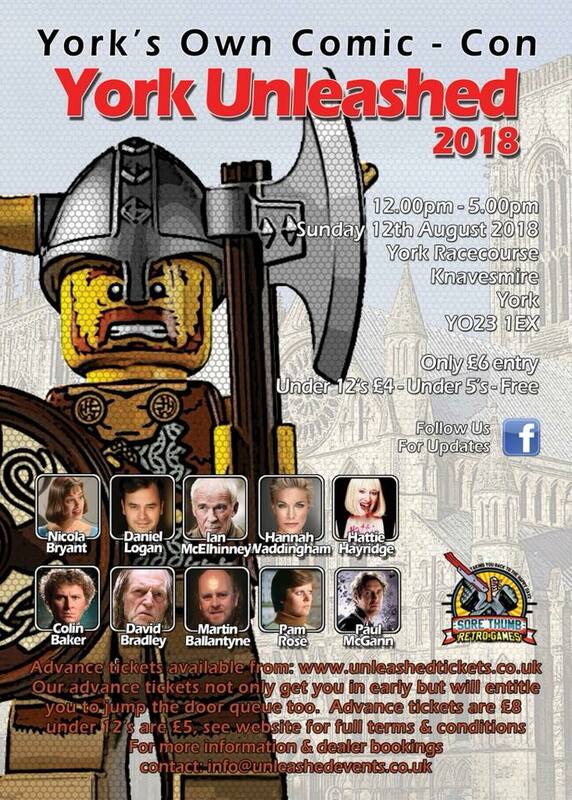 Dress up for York Comic Con York Unleashed on Sunday at York Racecourse. Classic cars, rides, stalls, live performances and more at Locke Park gala on Sunday. 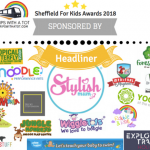 Huge South Yorkshire festival at Wortley Hall on Sunday, with FREE entertainment for all the family including live music, dancers, donkey rides, bouncy castle, kids rides, face painting, climbing wall and much more. 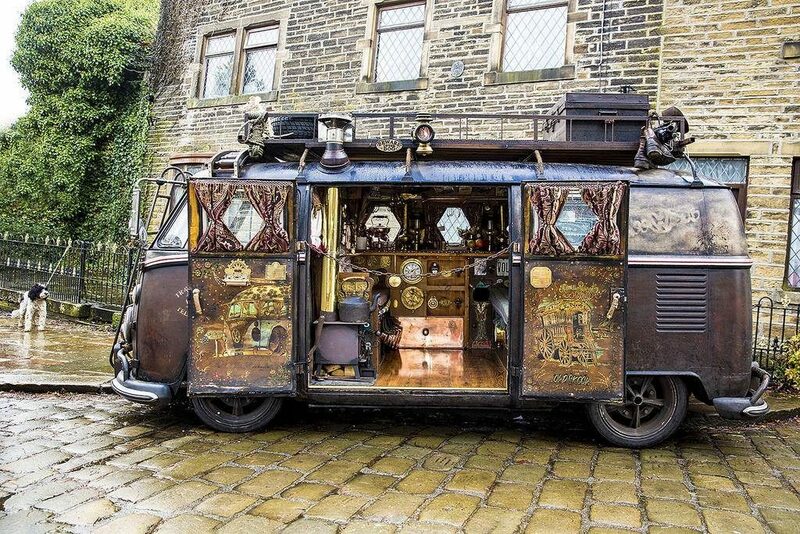 South Yorkshire Transport Museum are having a Steam Punk theme day open 10:30-4pm. The open days are once a month, read our review from our visit here. So much going on this Sunday at Barrow Hill Roundhouse Railway Centre in Chesterfield. Including miniature railway rides, science fun experiments, Chesterfield museum and an interactive science show. It’s the 2018 Big Fun Run at Rother Valley Country Park on Sunday, suitable for ALL ages for a run in fancy dress. Family Open Hour at Holly Hagg on Sunday, 2:30-4pm. Come along and enjoy Holly Hagg Community Farm Garden. Meet and feed the alpacas and chickens, pick blackberries and currants in the orchards and get lost in the tall willow beds. Can you find the skeleton of the visitor who never made it out? Pond dipping not open. Wizard Fest: An Unauthorised Potter Experience back by popular demand at Kirkstall Abbey in Leeds this Sunday. 3 hours of wizardry, games, licensed bar, challenges, tavern, face painting & lots more. Have a play and adventure at Bolehills Recreation Ground & playground. 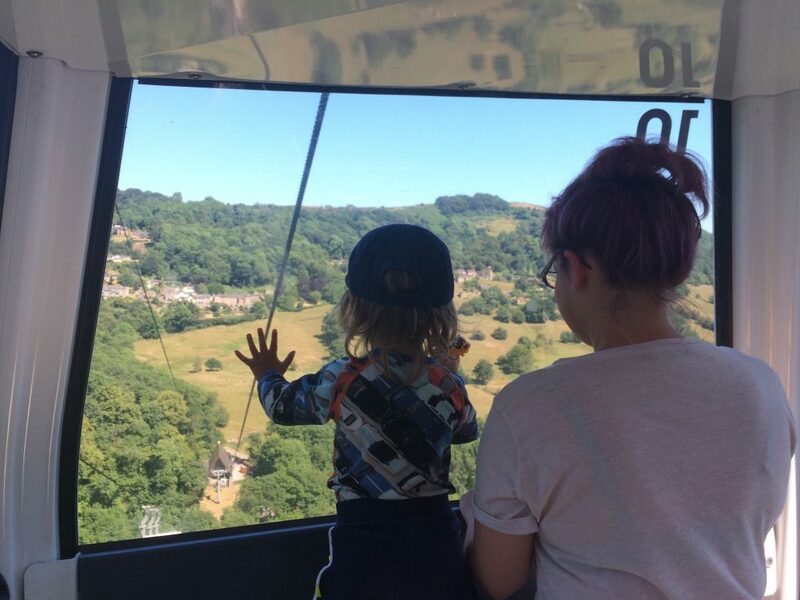 Special occasion treat: Cable car ride at Heights of Abraham up to the country park. So much to do! 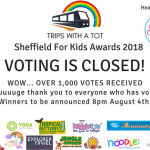 Choose on award-winning day out this weekend as voted by Sheffield families. 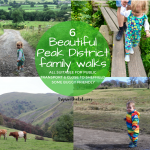 Go for a family-friendly countryside walk close to Sheffield: Damflask Reservoir. If you’re looking for a nice, family friendly place to eat in Sheffield city centre this weekend then I really recommend Couch! Really informal and lovely for kids.